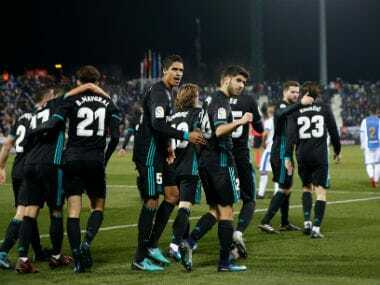 Madrid: A last-gasp goal from Marco Asensio gave a virtually second-string Real Madrid a 1-0 first leg Spanish Cup quarter-final victory at Leganes on Thursday. The 21-year-old midfielder converted a cross from French full-back Theo Hernandez from the centre of the box. 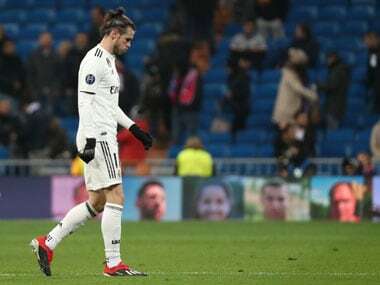 That ended a run of three matches without victory for Zinedine Zidane's struggling galaxy of stars, even though the likes of world player of the year Cristiano Ronaldo, Welsh winger Gareth Bale and French striker Karim Benzema were left out. Leganes were organised in defence and willing to launch counter-attacks, with the European champions struggling to cause them problems. 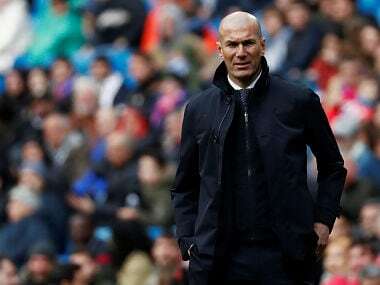 But Asensio's late intervention gave Real a much-needed boost following last weekend's 1-0 defeat at home to Villarreal that left them 18 points behind arch-rivals Barcelona in La Liga. 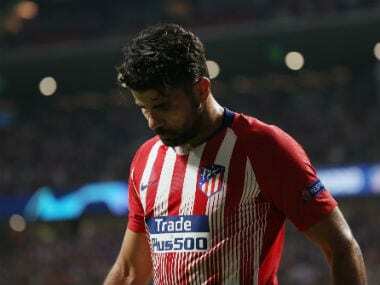 And unlike Barca, who lost 1-0 to their city rivals Espanyol on Wednesday, and Atletico Madrid, beaten 2-1 at home by Sevilla, Real are at least in charge of their quarter-final tie in the competition that looks likely to offer them their best chance of silverware this season. The second legs will be played next week.